Fortnite Battle Royale is a colourful and well-polished third-person battle royale game that sees a hundred people land on an island and fight to the death, through an ever encroaching storm, with only one person, or squad able to claim the chicken dinner for being the last one standing. 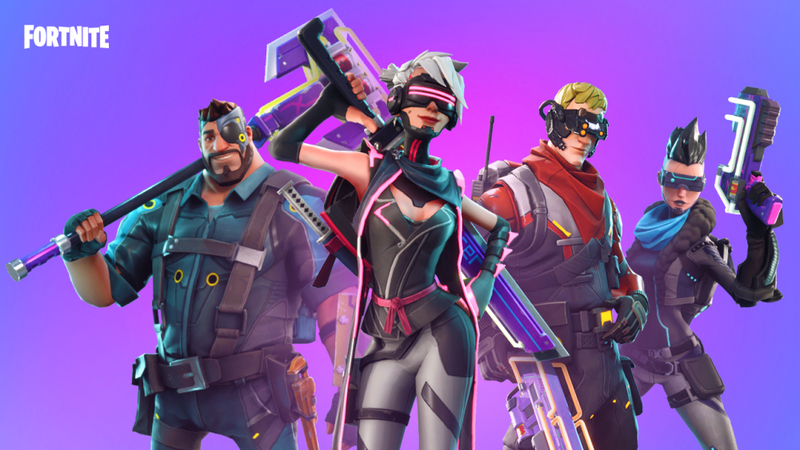 To separate themselves from the now over-populated genre of battle royale games, Epic Games made the decision to keep the building aspects of their now almost-forgotten Fortnite Save the World stand alone when developing the game and they have been rewarded with a brilliant blend of fast-paced shooting and seamless building, allowing you to build walls to keep your enemies out as you avoid gunfire, or keep your enemies closed in as you try and elimate them. Its brilliance lies in the simplicity that this game has. Unlike other battle royale games, Fortnite gives you a simple inventory bar that allows you to carry up to 5 weapons, or items, and allows you to easily switch from one to another. Its building mechanics may seem over-simplified, but in truth you have all the structures you could need to make every fight unique. The beauty of Fortnite is that it brings freshness to the market, with its destructable enviornments, unique building mechanic that allows you to build on the move, its fast-paced shooting, its spawning of memes and the ever introducing of new events, Fortnite really is in the bracket of Epic Games.